This week, Randy Seaver of Genea-Musings challenges us to post about our longest unbroken line of ancestral gravestones. 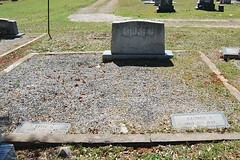 How far back can we go and do we have photos. I have to think about this for a second. 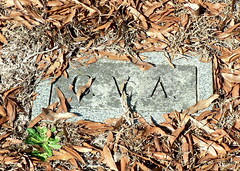 I know it's not my direct maternal line or it's offshoots: my Great-Grandmother Ruby Waters Huyler does not have a headstone. 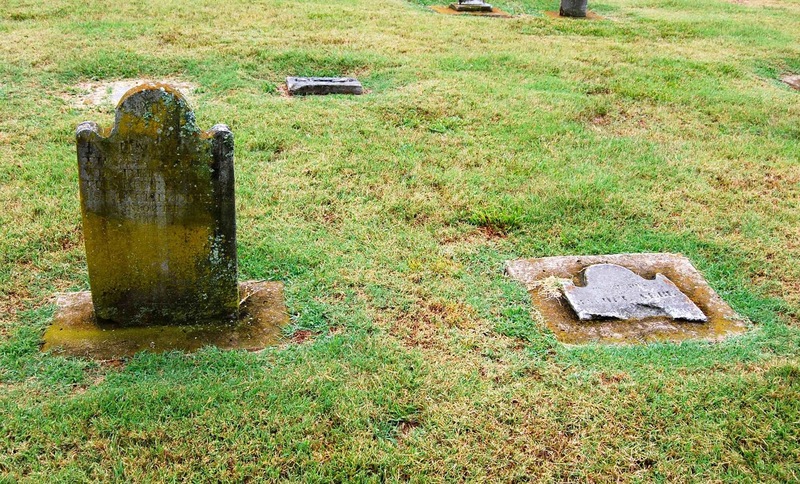 Other lines have much older headstones, but have missing generations in between. 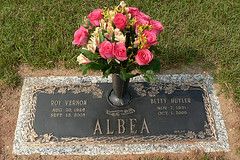 Some have memorial markers, but not actual gravestones. So, what's the longest line? It's a tie! 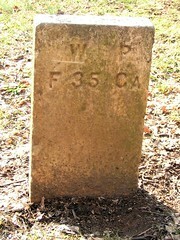 Both my Albea and Powell (via Craft) lines have graves with known locations and markers. 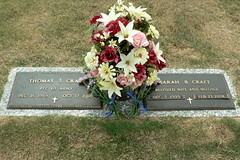 Both lines go back to my 5x Great-Grandparents. 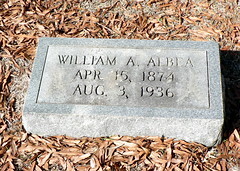 On the Albea line, that's Thomas Albea who was born in 1778 and died in 1844. 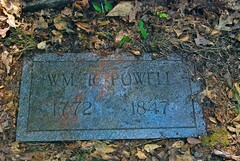 On the Powell line, that William R Powell who was born in 1772 and died in 1847. 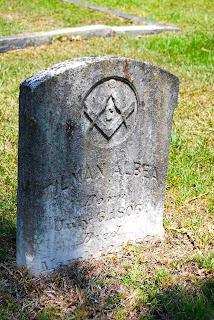 I visited the graves of all but one of these ancestors. 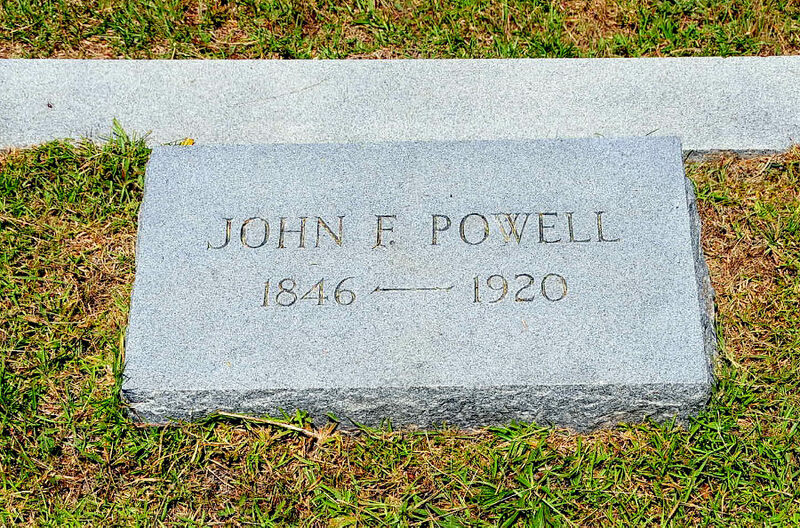 Wiley Powell died in Virginia during the Civil War and was buried at a veterans cemetery there. 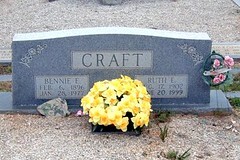 A FindAGrave volunteer kindly sent me a photo.